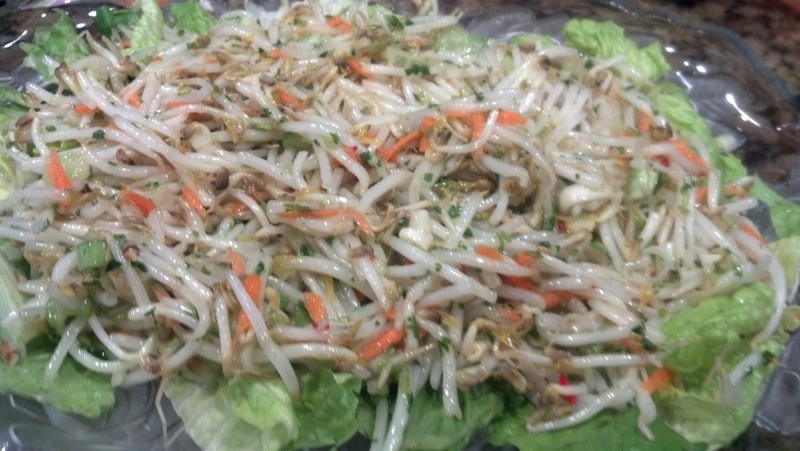 Combine the Bean Sprouts, Scallions, and Carrots in a medium-size bowl. Combine the Peanut Oil, Rice Vinegar and Salt and add to the Vegetables. Toss to combine. Taste for seasoning and adjust, if necessary.